Help Save Coach Wade Era History Today! After former head coach Lefty Driesell’s transition to assistant athletic director in 1986, the University of Maryland turned to Bob Wade, a successful high school coach for Dunbar High School in Baltimore, with a basketball resumé that showed an impressive 272- 24 record over 11 years and recognition as the USA Today Coach of the Year in 1983. 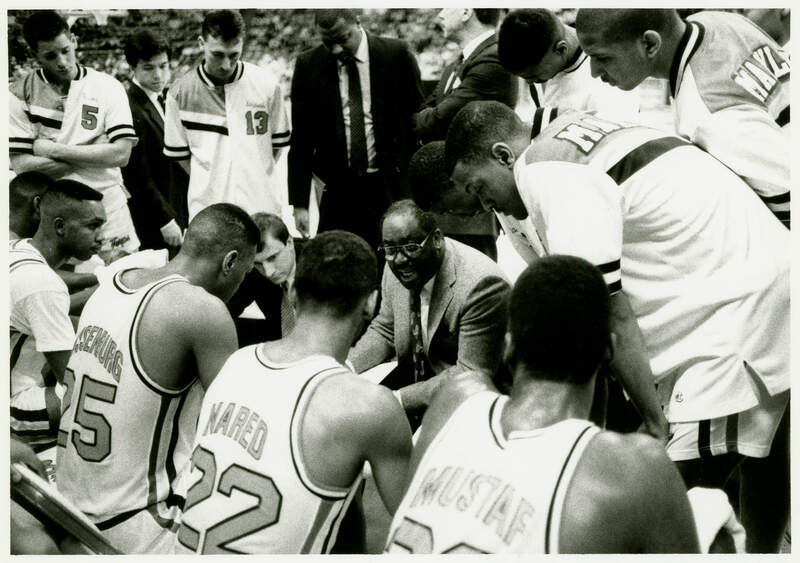 At a time of recovery in UMD Basketball, Wade took his young team to the NCAA Tournament in the 1987-1988 season, followed by a 18-13 season record in 1988-1989 in the ever-competitive ACC. With an overall UMD record of 36-50, Coach Wade groomed players like Jerrod Mustaf, Walt Williams, and Tony Massenburg, all players who entered the NBA. It takes $60 to digitize one videotape, and Coach Wade’s legacy is recorded on 65 videotapes of game footage. When including the additional cost of preserving and accessing this era of UMD basketball history, our goal is $5,600! Make a gift today, and help us save this important part of university history! Every dollar counts!